The Forestry Division of the Parks Department manages the city’s 27,400 street trees, as well as all trees in city parks and on public property. It handles more than 2,000 service requests from Providence residents each year, including dead tree removal, tree pruning, pick-up of fallen branches, and stump removal. 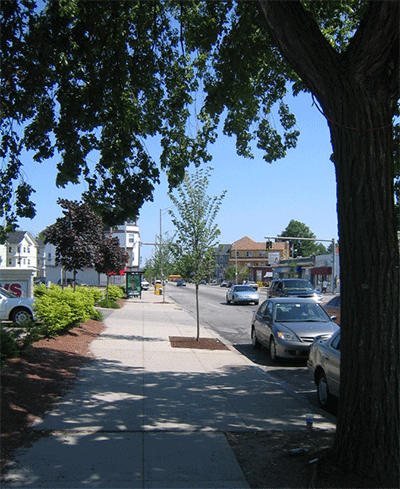 The Forestry Division plants trees as a partner in the Providence Neighborhood Planting Program (PNPP), with matched financing from the Mary Elizabeth Sharpe Providence Neighborhood Planting Program (PNPP) Fund of the Rhode Island Foundation. PNPP plants approximately 500 trees per year throughout the city with the help of neighborhood residents. Additionally, Forestry plants individual trees for homeowners through a “match cost” program and issues free permits to residents who wish to plant their own trees within the city right-of-way. In addition to resident requests, Forestry began systematically pruning all city street trees in 2016, initiating a 10-year cycle. To learn more about the City’s “Block Pruning” program, visit the page linked below.